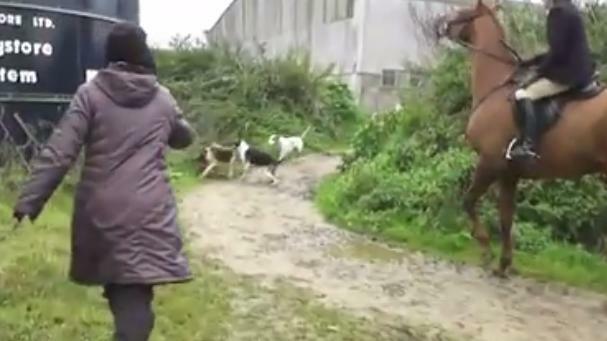 Moving footage from 2012 shows the determination of a woman who couldn't stand the cruelty. 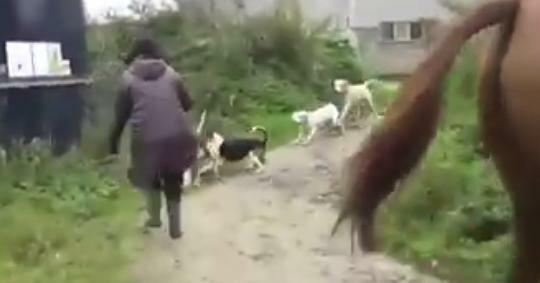 The hunters sit astride horses in the fox hunting tradition, while their trained dogs do their dirty work. 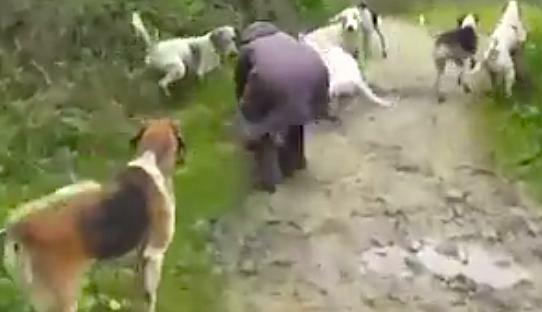 The hounds are zeroing in on a tiny fox when a woman sprints towards them. She starts screaming at the dogs to get them to stand back. 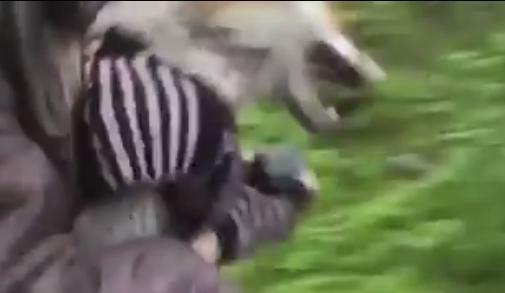 She throws her own body on the fox and brings the shaking animal into her arms. As she runs away with the fox, the hunters shout from their horses: "Leave it!" UPDATE: A previous version of this story stated that the hunters were shouting at the woman to "leave it." Readers have pointed out that this command is often directed at hunting dogs. Bless her for her kindness, bravery and loving heart. May all good things happen to her. I salute this kind of bravery where not many have courage to do it and I myself hopes I can get her courage to be brave, kind and not selfish. She is inspiring. Any animal slaughtering (especially in a cruel ways) that for own selfishness is cruel. Sports, unnecessary fur trading, entertainment, feeding on the extinct/exotic, torturing, tourism and many more is cruel. Educate the peoples near you about this issue as many didn't know or just oblivious. Educate them that this cruelty is a shame thing so lesser people will participate. Obviously hunting for sports, circus, elephant ride, animals have to perform beyond their abilities, pet shop, and feeding on the extinct animals is wrong and inhuman. Hinder yourself and think about the animals in addition it is not necessary other than for fun.